I'm one of those people who looks forward to autumn/winter as soon as August has passed, I long for the cozy vibes, snuggly jumpers, berry lips and endless hot chocolates. 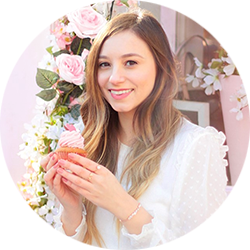 However, as soon as the festive season is over, my love affair with winter comes to an abrupt end and I find myself craving a change, so when Fragrance Direct got in touch asking if I would like to collaborate with them on a new year haul post I was ready to go! Here are some of the new additions that I've added to my makeup and skincare routine. In the winter I tend to neglect my body care routine a little bit because I'm hidden under layers of wool knits, but with spring on the horizon it won't be long until bare skin is making an appearance once more. 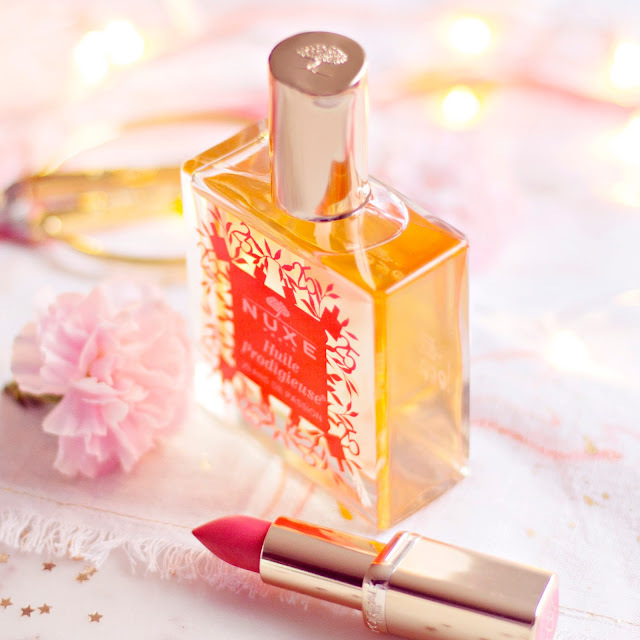 I've been longing to try NUXE's highly raved about Huile Prodigieuse for a while now, so I was over the moon when I found a limited edition pink bottle on the Fragrance Direct website. It says that this oil can be used for face, body and hair, but as it's so heavily perfumed I can't imagine myself putting it anywhere near my face. However, as a body oil it's incredible! I love the smell, which is great because it stays around for a good few hours, and it makes my skin feel silky smooth and look almost glossy in the sunlight. I had planned to start off the new year looking bright eyed and bushy tailed, but then I caught the flu so I actually started it with puffy eyes and a Rudolph red nose. I decided to add Clinique's All About Eyes eye cream to my haul to help to resolve some of the puffiness, and to add an extra boost of moisture to my poor thirsty skin. I've been using this for the past few days and so far so good, it's nice and gentle and has already made an improvement to my extremely dry under eye area. I knew I wanted to pick up something from NARS for this haul because it's on my list of brands to try more from this year, but I was really torn between a face product or a lipstick. 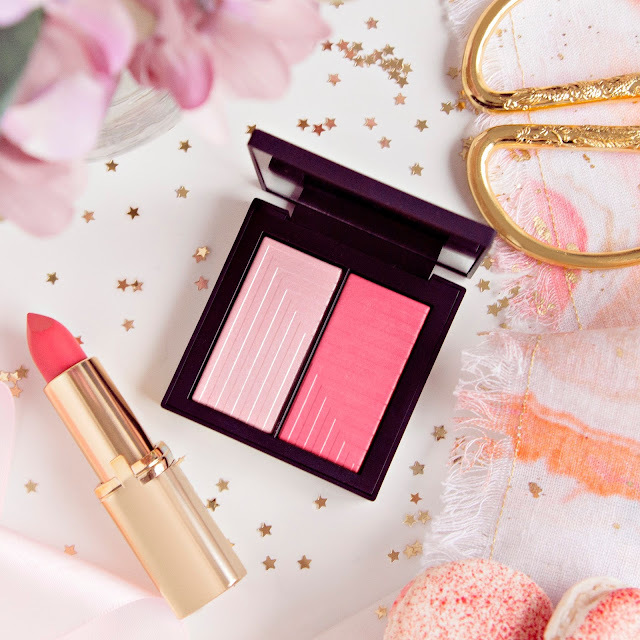 In the end I chose a Dual Intensity blush in the shade Adoration which features two shades, a pale shimmery pink, which could either be used as a highlighter or layered on top of the darker shade, and a deeper rose pink. I find both shades to be well pigmented on their own, but the product description advises that they can also be applied wet for a more intense look. I tend to wear a lot of dark lip colours in the festive season, so by the time January rolls around I am ready to ditch the deep red tones. The first lipstick I have chosen is Loreal's Colour Riche Matte in the shade VIP, which was actually an old favourite of mine from a couple of years ago. 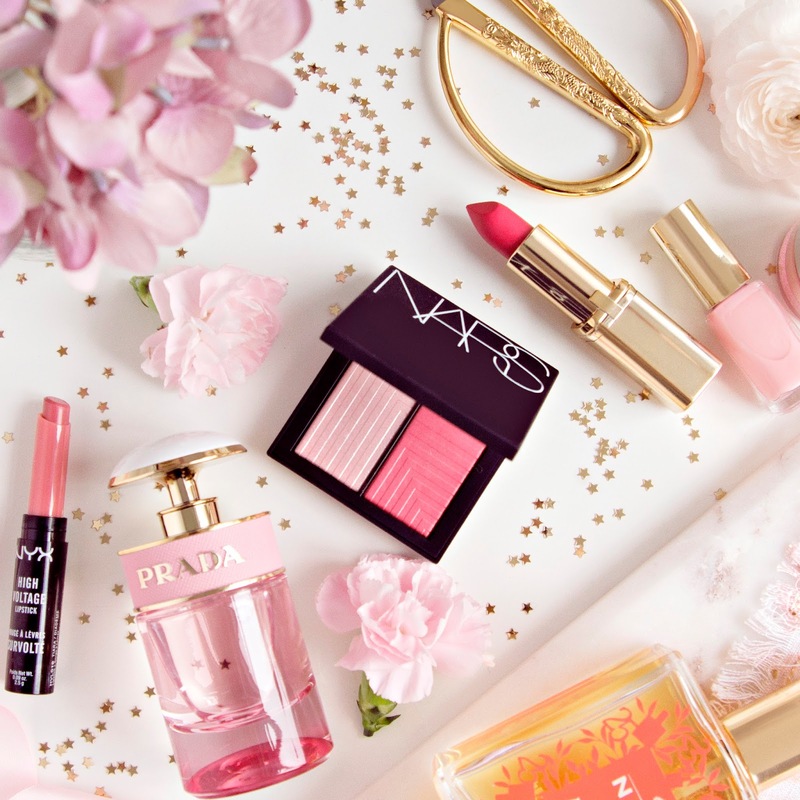 I find the bright coral pink tone to be incredibly flattering against my pale skin, it makes my whole complexion come to life. My second choice was one of the NYX High Voltage lipsticks in the shade Tiara, another pinky coral shade, but this time with a more subtle creamy finish. I hadn't heard much about the formula of the High Voltage range before, so I was pleasantly surprised when it applied like a dream, gliding on and staying put for a good few hours. My final makeup pick was a nail polish belonging to the L'oreal Colour Riche range. I opted for the shade Marie Antoinette, a pale pink with a sheer finish which reminds me a little of Essie's Ballet Shoes, perfect for low maintenance makeup days. 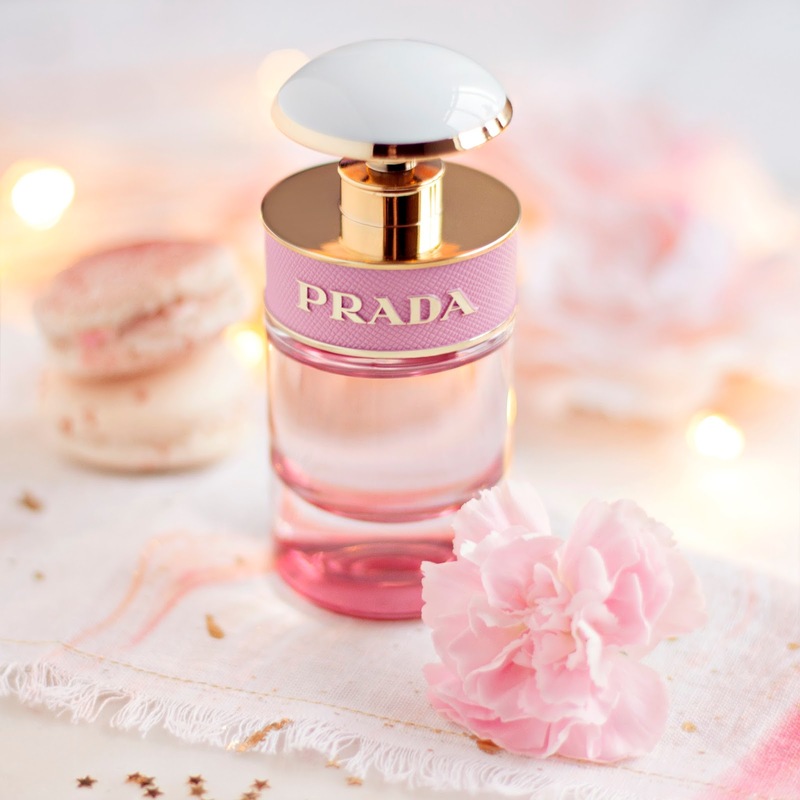 Of course it wouldn't be a Fragrance Direct haul without a fragrance, so I chose the stunning Prada Candy Florale which has Peony at its heart, one of my favourite scents. This sweet flowery fragrance is contained within one of the most beautiful bottles I have ever seen, with rose coloured glass and an elegant white and gold lid. This is definitely one to stock up on in preparation for the springtime! Have you added any new makeup or skincare additions to your routine this January?